The Cooperstown Food Pantry is a tax-exempt organization through our sponsoring agency, the First Presbyterian Church of Cooperstown. About 80% of the food that is distributed by the Cooperstown Food Pantry comes from our monthly purchase from the Regional Food Bank of Northeastern New York. As a member, the Food Pantry is able to purchase products at a fraction of the retail cost – about $1 cost for $10 value in product. 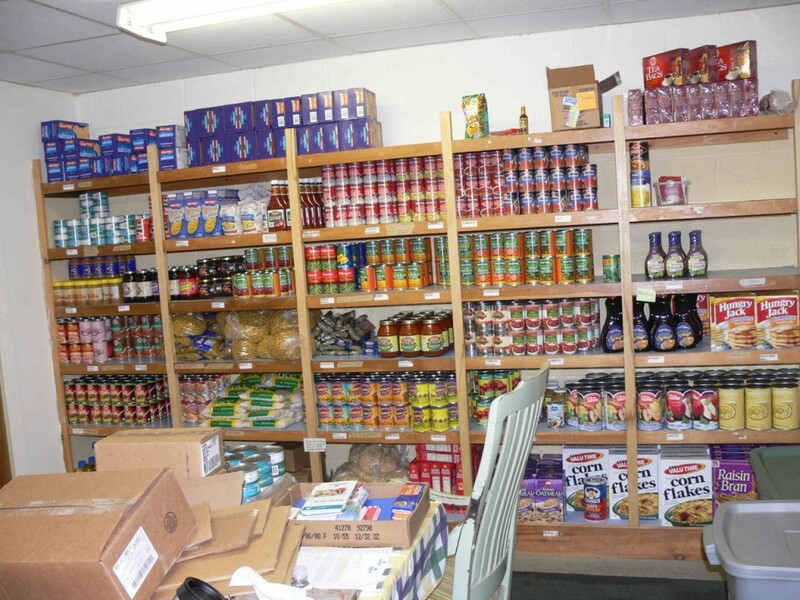 We stock our shelves with about 8 tons of food per month from the Regional Food Bank and along with other food donations, the Cooperstown Food Pantry provides grocery and other personal care products to our clients once each month. Clients receive five days worth of food, 3 meals a day, for each person in the household. The Cooperstown Food Pantry has partnered with The United Way of Delaware and Otsego Counties and Fidelis Care to bring a Mass Distribution site to Otsego County. The location will be at the Northern Eagle Beverage facility located at 41 Browne Street, Oneonta starting at 11am (times may vary keep checking). Mass Food Distribution provides 1 to 2 bags of a variety of fresh and non-fresh foods free of charge to anyone that can use it. Foods vary from month to month. This food comes from our Regional Food Bank in Latham, NY. This is surplus food – over and above what they would receive at the pantry level. Mass Distributions augment families’ food supplies, reduce demand on pantry services, and provide the Food Bank with large outlets for perishable foods like yogurt, juice and produce.